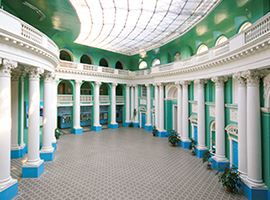 The Preparatory faculty was opened for foreign students for the first time in the history of Moscow State University of Education in 2015. Since 1991 till then the chair of pre-university teaching of Russian as a foreign language was functioning. At the Preparatory faculty Russian language pre-training course for foreign students is organized. Accumulated pedagogical experience and methodological potential of the staff will help you to start speaking Russian. At our faculty you will not only acquire basic knowledge about the language but will also become acquainted with the language of your future profession. In addition, you will learn more about Russian culture and the rules of conduct in Russian society. Our faculty is interested in supporting Russian science, music and literature. 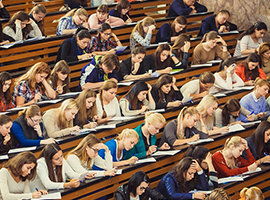 Moreover, a great amount of extracurricular activities are held for students to enhance their knowledge about Russia. 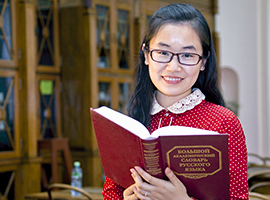 Chairperson of pre-university teaching Russian as a foreign language.